The Michigan Chamber of Commerce is failing its members. It has failed in its responsibility to its 6,700 business members by supporting and putting its weight behind the Duggan-Leonard-Theis No Fault insurance plan. Why is this decision letting down its members? 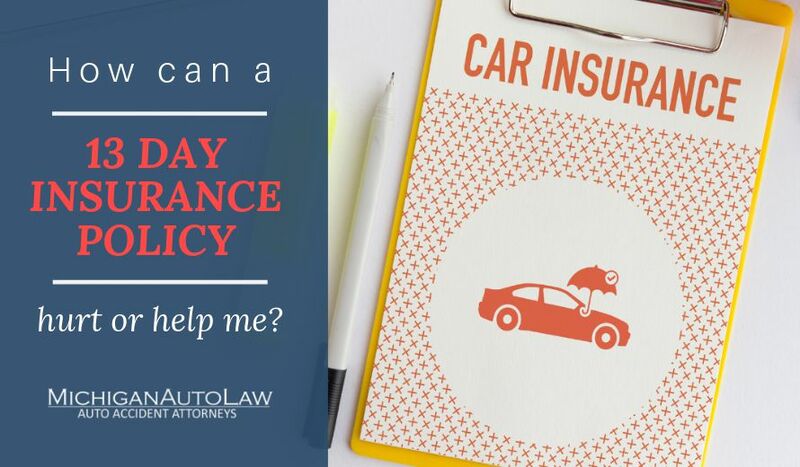 Chamber President and CEO Richard K. Studley has the opportunity to help businesses by lowering the costs of car insurance. Instead, he’s turned his back on the chance to provide real help. He’s decided instead to support a No-Fault reform plan that is all sizzle — but no steak. While the insurance company written HB 5013 that he supports is great for the auto insurance companies, it provides no meaningful rate relief for Michigan businesses and consumers. The so-called rate relief amounts to only a vague 20-40% of the 40% of the PIP portion of your car insurance bill. The bill does nothing to lower the costs of the comprehensive or collision portion of your car insurance bill. Even worse, this so-called rate relief only guarantees this reduction for 5 years — and it includes a very easy “out” for insurance companies to avoid implementing any rate reductions whatsoever. As I pointed out last week, the bulk of the savings goes to insurance companies, not to consumers and Michigan businesses. What does go to consumers and taxpayers, however, is a projected $150 million spike in Medicaid and a big jump in health insurance costs, as employer’s health insurance plans must take over the enormous costs of medical care and treatment now that No Fault insurance would be capped at only $25,000. Chamber President Richard Studley has taken to Twitter to aggressive lobby for passage of the No Fault reform, which is backed by Detroit Mayor Mike Duggan, House Speaker Tom Leonard (R-DeWitt) and House Insurance Committee Chair Lana Theis (R-Brighton). Had the Chamber and its CEO Studley wisely harnessed that business expertise, they could have used this opportunity to help Michigan businesses be more competitive and help really lower car insurance prices for everyone. They should have brought to bear the same careful scrutiny that their members bring to every business decision. For example, while we’re talking about slashing No Fault protections by up to 95% for consumers who choose the lowest cap option, we still have no idea how big the profit margins are for the auto insurance companies. What business leader makes decisions like this without even knowing the costs and benefits. Detroit Mayor Mike Duggan never would have run the DMC this way, and it’s safe to say no member of the Michigan Chamber of Commerce would run their companies this way either. The “savings” mentioned in HB 5013 are temporary. Employers, as the providers of “a large proportion of health insurance plans,” are uniquely positioned to feel the pain of the cost-shifting from HB 5013 because as car-crash-related medical costs shift from No Fault to private employer provided health insurance, health insurers’ costs will increase significantly and those higher costs will be passed along to employers and employees in the form of higher health insurance premiums. Car insurance companies, who are already highly profitable, stand to profit the most from passage of the Duggan-Leonard-Theis No Fault reform plan. They’re going to cut their No Fault PIP liability by a whopping 95% and those savings are built into the bill. All of us, as taxpayers, feel further pain as the costs of long-term medical care and treatment for car crash victims under HB 5013 is pushed onto Medicaid, with the state paying $150 million more over the next ten years. Instead, they choose to go along with these cynical politicians’ charade of a real No Fault reform plan, apparently comfortable with not providing any real rate relief or helping the Chamber’s members lower costs and be more competitive. I’ve gotten used to this kind of approach from cynical politicians in Lansing, who in this age of Citizens United are willing to overlook the public good on behalf of very substantial campaign contributions from the insurance industry. But I expected more from the Michigan Chamber of Commerce and its President, Richard Studley. I never would’ve expected that the Chamber, whose mission is to “promote conditions favorable to job creation and business success in Michigan,” would ignore the obvious reality of HB 5013 in order to endorse and advocate for ideas that will significantly hurt, not help, Michigan drivers and employers. Savings are only for the most underinsured drivers who choose the $25,000 No Fault cap. Guaranteed savings doesn’t really mean savings are guaranteed because there’s a loophole in HB 5013 that allows auto insurers to avoid lowering car insurance prices. Unlike the other effects of HB 5013, its savings provision is not permanent — it expires in 5 years. The Chamber has to know that HB 5013’s $25,000 No Fault cap is going to cause a monumental shift of car-crash-related medical claim costs from No Fault to health insurance. Indeed, at the October 3, 2017, hearing before the House Insurance Committee on HB 5013, DIFS Director Patrick McPharlin testified that it was “logical” to assume that if the bill passed, then the result would be an increase in health insurance costs. The thing that’s so hypocritical about the Chamber President’s hyperbolic claim that opponents of HB 5013 “profit from the status quo” is that he chooses to ignore how much Michigan’s auto insurers stand to “profit” if the No Fault reform plan he endorses now passes — at his own member’s expense. It’s a shame that the Michigan Chamber of Commerce did not use its weight and political power to make real changes to help its members. The Chamber could demand we get the numbers — how do we even allow the situation we have today where the Michigan insurance commissioner can’t even know how big the profits are of the auto insurers, when all of us by law are required to purchase auto insurance — and face significant criminal and civil penalties when we don’t? How could Studley ignore all the easy ways that the auto insurance companies can get out of enacting even the car insurance rate reductions that are promised in the bill? How could Studley and the Chamber overlook the fact that these savings only last 5 years, or how disappointing these savings are compared to what is being taken away from people who choose the lowest No Fault cap plan — or that people who choose the $500,000 or unlimited cap plans will see no savings at all (presumably this would include the majority of his members)? How could Studley and the Chamber ignore the enormous costs shifts to its own members as health insurance costs and Medicaid costs get passed onto all of as consumers, businesses, and taxpayers — all so the powerful insurance industry can profit at all of our collective expense? Richard Studley owes his members an explanation. I hope he has one.